Just as bottled water sales in the United States have taken off in the past 10 years, single-serve powdered drink products that consumers can mix directly into their water have also followed a similar growth pattern. All of which comes as welcome news to Neil Kozarsky. T.H.E.M., which stands for Technical Help in Engineering and Marketing, is one of the country’s leading stick packager of products for the food, beverage and healthcare industries around the world. However, filling thousands of stick packs every day is no easy task, which is why T.H.E.M. turned to Dorner Mfg. 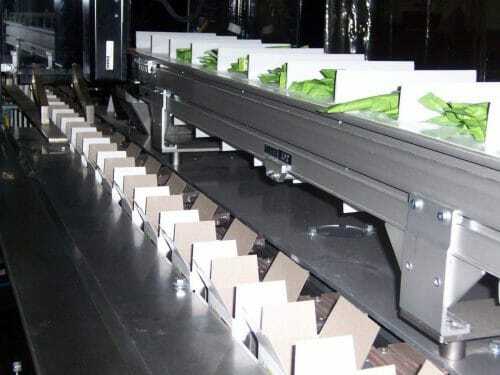 and Yeaman Machine Technologies in 2007 to specially design an innovative new stick-packaging machine. Although stick-packs had been widely used in Asia and Europe since the 1970s, they didn’t catch on here in the United States until the late 1990s, when a food manufacturer introduced a grab-and-go yogurt product in a tube. T.H.E.M. was in a prime position to help launch the stick-pack popularity when in 1996, it became an exclusive U.S. partner with Sanko Stick Packaging, a Japan-based company at the forefront of stick packaging equipment. And since that time T.H.E.M. and its more than 50 full-time employees have filled millions of stick packs containing everything from sugar, baby formula, artificial sweeteners, and flavored drink mixes for several global brands. One of the company’s strengths is being responsive to its customers, and it does that by performing all application engineering at its 40,000 square-foot Marlton facility. To further help improve efficiency, the company looked at adding two new vertical cartoners from Yeaman Machine in summer of 2007. In other stick-packaging lines, T.H.E.M. employees would count up to 20 sticks at a time, depending on the order, and then pack them in a box on a moving cartoner that typically would be very long in length. This process often required in excess of 20 or more employees at a time to huddle around the cartoner picking, counting and packing sticks. The other downside of this type of cartoning line is that it requires a lot of change-part tooling and downtime to switch between different carton sizes. “My thought was why don’t we separate the picking and counting of the sticks from the loading of them into the carton?” said Brian Stock, vice president of sales and marketing for Elk Grove Village, Ill.-based Yeaman Machine. “Our idea, with the help of a Dorner 3200 Series Z-frame conveyor, was to count the sticks and place the grouped counts between the cleats on the conveyor. The Z-frame conveyor then transports the grouped counts of sticks to the operators around the load area of the cartoner where they can just simply pick up the grouped count and load it into the carton. Each finished system features a 25-foot Dorner 3200 Series Z-frame conveyor attached to a CVC-600/1200 vertical hand load cartoner from Yeaman Machine. The conveyors are designed with one or two fixed angle points that allow the conveyor to accommodate a variety of height and angle requirements. The first 20 feet of the conveyor is on the “floor level” to allow up to eight employees, four on each side of the conveyor, to preload 10 stick packs and place them on the conveyor. To keep each bundle of 10 separate, the conveyor is outfitted with a 2-inch cleated urethane belt. Stick-pack bundles are then moved on the conveyor up a 15-degree angle to the loading area, where up to six employees package them into boxes. The Yeaman CVC-600/1200 Vertical Cartoner erects, seals the carton bottom and transports the carton around the load area with the Z-frame conveyor mounted above. On package orders containing 20 sticks, employees each grab two bundles of the precounted stick packs and load them into the passing boxes. Packed boxes continue around the oval track on the vertical cartoner, where the top of the carton is automatically sealed before discharging onto a set of Dorner 2200 Series conveyors for marking and shipment preparation. Stock said. “T.H.E.M. is an absolutely perfect fit for this design and something we think would have merit for other customers with similar cartoning applications.” Stock said he uses Dorner conveyors because of the fast shipment, often just three to five days from time of delivery, and he can order a conveyor system built to his exact specification to best accommodate his customer’s needs. Kozarsky said the Yeaman CVC-600/1200 has worked out great for T.H.E.M. by increasing production with fewer employees.